When two Chicago musicians, Joe and Jerry, witness the the St. Valentine's Day massacre, they want to get out of town and get away from the gangster responsible, Spats Colombo. They're desperate to get a gig out of town but the only job they know of is in an all-girl band heading to Florida. Despite that the film is set in Miami, parts of this film were shot at the Hotel Del Coronado in Coronado, CA. Architect James Reid was hired for the project and construction was completed in 11 months in 1888. 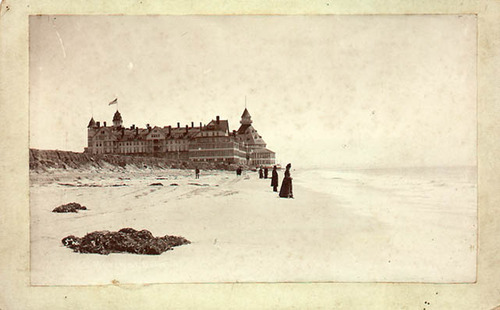 The Hotel Del Coronado is one of the oldest and largest all-wooden buildings in California. To learn more about the history and architecture of the Hotel Del Coronado in Some Like It Hot, click here.